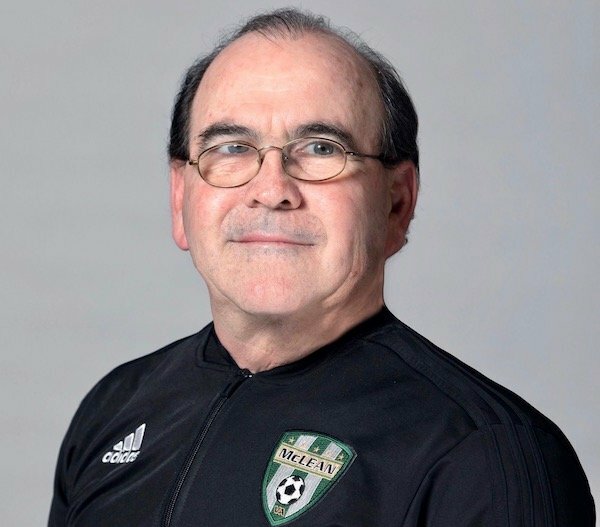 Keith Tabatznik, the Director of Soccer of Virginia club McLean Youth Soccer, also serves as a U.S. Soccer boys talent ID scout and U.S. Soccer coaching license instructor. Up until two years ago, he served as the East Region’s Olympic Development Program (ODP) head coach. 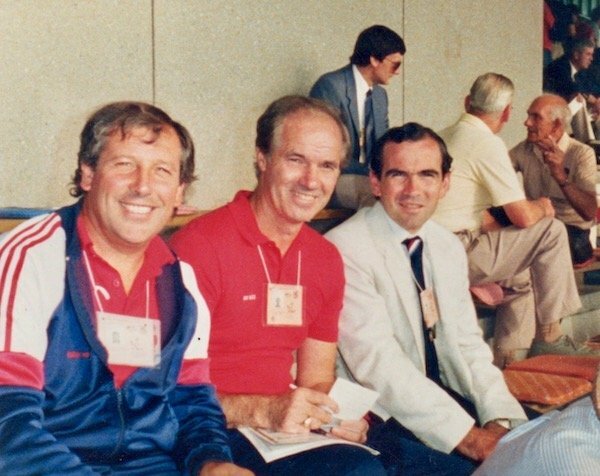 He also worked in ODP, the main youth national team identification program until the Development Academy launched in 2007, in the 1980s and 1990s. In 1984-2005, he served as Georgetown University men's head coach. McLean fields more than 60 travel teams, including boys and girls ENCL squads, and has a rec program with nearly 2,000 players. Keith Tabatznik’s introduction to soccer. KEITH TABATZNIK: I grew up in Baltimore but was born in South Africa, where my father had been a player at a good level. My first memories are kicking the ball in the backyard with him when I was a little. But I wasn’t in East Baltimore with Sonny Askew and Co. I was next to the Pimlico Race Course and probably had the only soccer ball within a couple miles. My parents started soccer at my school, Friends School of Baltimore. I think they bugged the headmaster so long they finally started soccer. My first formal soccer would have been in fourth or fifth grade at the Friends School. Tabatznik was a walk-on at American University, where he played right back. In his junior year of 1979, the team became the first in any American University sport to reach the NCAA playoffs and in his senior year reached the final eight. KEITH TABATZNIK: I was a late-bloomer. I also had played basketball and baseball growing up. I was probably on the wrong side of the city for club soccer at the time. East Baltimore was the big soccer part, where you had the Sonny Askews and Pete Caringis playing. I didn’t play year-round soccer until college. He also played and later coached in the Capital Soccer League. KEITH TABATZNIK: At that time between the NASL and MLS, some of the city leagues were really good, all over the country. They had a ton ex-pro players or between-league players, and the Capital Soccer league was one them. Tabatznik was player/coach of the Greek-Americans, whose squad included Dante Washington, before the MLS started in 1996. KEITH TABATZNIK: We had a final eight finish in the 1995 Open Cup after winning both the Virginia Amateur and Open State Cups against the John Kerr Sr.-coached Spartans. It was quite the Greek rivalry without Greek coaches. His first coaching experience came as a teenager when as a counselor at a sleepaway camp he started a soccer program for the camp. While a high school senior, he coached his school’s eighth-grade basketball team. KEITH TABATZNIK: I just knew it was something I loved doing. When I was playing at American University I coached a local team. Like almost anything in life, when you have some success it feels good and motivates you to keep going. Long story short, I ended up getting a job at Georgetown when I as 24. I thought I’d be there one to two years. Twenty-two years later I was still there [through 2005]. He got involved with ODP in the late 1980s. KEITH TABATZNIK: Dieter Ficken, who was the Region 1 ODP head coach, put me on the regional staff. That really gave me a big jump in my experiences. I was one of those guys who was extremely lucky to be around a lot of great coaches while I was a young coach developing. Guys like Manny Schellscheidt. The second year I was on the staff, Bob Bradley came on. Bruce Arena was on the staff at some point. It’s was a who's who. Chico Chacurian, who just passed away, was on the staff. I was lucky. Bob Montgomery was also on that staff. I was only in my mid 20s -- and had the best learning experience possible. Then at the same time Sunil Gulati had got me involved as kind of an administrator with the youth national teams. Nobody was a full-time administrator back then. He did it to get me involved with Roy Rees and Bobby Howe. Now I was surrounded by those two, who were two of the biggest influences you could possibly want. KEITH TABATZNIK: The Festival was a great event. I’ve always said: One of the greatest strengths of soccer in our country is the size of our country. One of the greatest challenges of soccer in our country is the size of our country. There are a lot of double-edged swords in our country. I liked the old system a lot. This is not a derogatory comment on anything that’s going on now. I just liked it because it got top players constantly out of their comfort zone. They had to continually try out with new players and new coaches -- and perform. That is one of the greatest values of a system like that. U.S. Soccer this year introduced U-14 regional camps, which I think is a great addition. There are so many kids playing in this country we can’t rely on just one part of our landscape to bring them all to light. SA: You were still working in ODP when the Development Academy launched. How did that affect ODP? KEITH TABATZNIK: The long-term effect obviously is there were fewer influential players in the ODP. There were still, however, very good players and one of the things I saw there were some players, when they got an opportunity, their learning curve was so fast and so good they became really good. One example is Tyler Miller with LAFC, who was on New Jersey and Region 1 ODP teams. He got out of his comfort zone constantly in the regionals and international play. Went to Northwestern. Had four years playing there. And is now an MLS starting keeper at 26 years old for LAFC. Who knows if he would have had the same path or not if he had gone into a DA program. What we do know is he did make it on that path. But we can’t kid ourselves, the overall level in the ODP is less than what it once was, but it’s still a good level. SA: Do you know anything about an ODP ‘rejuvenation project’? KEITH TABATZNIK: I know they’re taking a close look at it to have it continue to be a credible program for elite players. I think they’ve been working with MLS academies trying to help kids who are in ODP who may deserve to get a look by MLS academy teams. SA: So you believe there’s a future for ODP in this landscape? KEITH TABATZNIK: I think so. Let’s remember there are some areas in the country that are really strong areas that don’t have DA clubs. Look at South Carolina. They don’t have a DA club down there, but they have some really excellent club teams. Presumably some of those kids may be in ODP as well. That’s just one example. I’m sure there are other areas. Even when ODP was the only game in town, God forbid that’s the only place we ever looked at. I always had the theory that we can’t afford to miss one player no matter where they are. Whether, they’re in the top league in the country or whether they’re in the backyard somewhere. SA: U.S. Soccer still scouts players in ODP? KEITH TABATZNIK: The ODP events are still scouted. I know that because I do some of that scouting. I scouted the ODP interregionals the last couple of years in Florida. And a number of the Regional ODP coaches are also in the [U.S. Soccer] scouting network, allowing for more consistent exposure and for ODP to recommend players as well. SA: What’s your scouting situation like for U.S. Soccer? KEITH TABATZNIK: There’s a scouting network that’s regionalized. People like myself and Greg Andrulis, Robbie Ryerson, who do scouting in Northern Virginia to the Baltimore area. You have that sort of setup around the country. For example, I’ll go see DC United-NYCFC . One of us will be scheduled for those kinds of games. SA: Are you told to scout specific players? KEITH TABATZNIK: Yes. This is the big change and I think it’s a good change. Basically, it’s specific players now. Obviously when you watch, you’re watching all the players. Like when I was college recruiting and went to watch a player, some other player may catch your eye. Now there’s a lot of responsibility on the clubs to identify the players for the talent ID scouts to see and to follow. …. We write a report that goes into the system, where it gets disseminated to the different Talent ID Managers and national youth team coaches, etc. Both DA players and non-DA players would go into that system. SA: You believe that there’s still a route to youth national teams for players not in the DA, and that U.S. Soccer scouts pay attention to non-DA players? KEITH TABATZNIK: I think if a kid is a good enough player, he has a path to the national team. I think there’s a lot of responsibility for all of us who do talent ID officially, to always be watching. I’m at a club that’s not a DA club and I do see kids on teams, and I will make recommendations when I see them. I was watching a game in Florida at the IMG Cup. I wasn’t even scouting, but I saw a kid who really impressed and he ended up getting invited into a [U.S. Soccer] Training Center, and anyone of us should be doing that all the time. I went into downtown D.C. in the summer because Keith Tucker [former Howard University head coach] said there’s some great soccer going on in pickup games. He said, You gotta see this one kid. I said, Don’t tell me who. I went down. And my lord was this kid good. He was only like 9 or 10, playing pickup with older kids. At that age, I don’t want to touch him. He’s gotten this good by doing whatever it is he’s doing. I want to wait a little. … There’s definitely talent outside of the DA that we need to track. 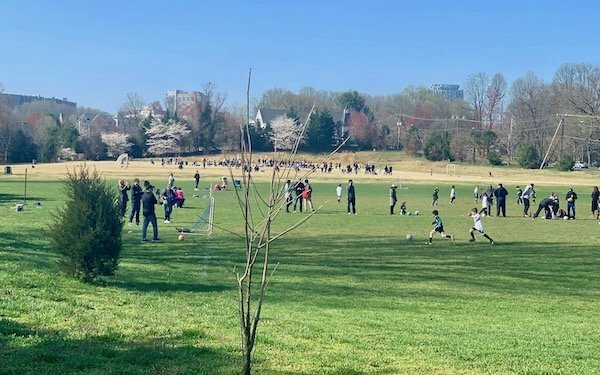 McLean Youth Soccer has 1,800 rec players and more than 60 travel teams. Three years ago, Keith Tabatznik became Director of Soccer of MYS, whose Technical Director is Clyde Watson and whose coaching staff includes former D.C United star Jaime Moreno. SA: How confident are you that U.S. Soccer’s scouting systems is capable of discovering such players? KEITH TABATZNIK: I think we’re at time where we’re about to take some huge steps because of the Talent ID License that they’re going to have us all go through at some point. I think that brings a consistency in evaluation. This will help, as well as increasing the number of scouts that we have. Putting resources into scouting and into coaching education is the critical foundation. You get better coaches, you get better players. It doesn’t matter what environment you’re in. SA: How big of a problem is pay-to-play? KEITH TABATZNIK: It’s a double-edged sword, too. And here’s why. Play-to-play has gotten our youth soccer players such a better quality of coach than they had 30 years ago. That’s the positive. And it’s a big positive. The negative, of course, is that many of those coaches are judged by what I think are the wrong ways to judge, that’s obviously by the outcomes instead of the process. It also creates that sense of entitlement that parents may have. We’re spending all this money, you think something should automatically happen. A friend of mine called it the "statusphere." Parents are seeking the statusphere. They want to be at this club or this level or this team. And it might not be the right thing for the kids, but "we pay enough money, we deserve to be there." Would we all love for the families to pay less? Of course. But I would say the vast majority of clubs make it work for kids who don’t have the money. At McLean, we spend up to $90,000 a year on scholarships. And that’s not just for the top players. That’s for anyone who’s financially in need. I think a lot of clubs do that now. SA: Besides costs such as coaches’ pay and fields and facilities, what’s the major cost in youth soccer? KEITH TABATZNIK: Travel. Whether you’re DA or ENCL or USYSA national, you’re traveling a lot. One thing I do have an issue with is the travel that’s driven by these GotSoccer rankings. Teams traveling to rack up points. Men’s college soccer only has 200 [Division I] teams and it’s hard to be correct with the rankings, so how can we do it with thousands and thousands of teams in youth soccer? I told my coaches at McLean, don’t ever talk to me about GotSoccer points. SA: Now, for the top girls players and clubs, we have two major leagues, the ECNL and the Girls DA. How do imagine that unfolding over the coming years? You have mirror images for the boys and girls. The girls just started DA and the boys started ECNL. I want all of them to do well and I want ODP to do well because I want to us to win a men’s World Cup in our lifetime. And I’d like see the women continue to win World Cups. If we can’t all be under the same umbrella, I just hope the different umbrellas are really good, so whatever they produce is the best for the players and the best the development of the country. 10 comments about "Keith Tabatznik on youth national team scouting, ODP, and pay-to-play". Bob Ashpole, April 16, 2019 at 10 a.m.
His comments were actually very encouraging. beautiful game, April 16, 2019 at 1:36 p.m. This interview as well as many others concerning yoputh development does not delve into the scouting systems top priorities in evaluating talent. Foremost, is what are the top four categories scouting looks for...what are they? This article never answered the key question. Bob Ashpole replied, April 16, 2019 at 3:07 p.m.
To me those questions are uninteresting. The judgments are subjective and any explanation is going to be a rationalization. He isn't a baseball scout clocking fastballs with a radar gun. Moreover, what one scout says is not going to indicate what another would say. What I would be interested in would be the results of an objective study of scouting. Wallace Wade, April 16, 2019 at 3:52 p.m.
I’m curious if he can name 1 current National Team player that was discovered from ODP? uffe gustafsson, April 16, 2019 at 4:47 p.m.
so there you have one. beautiful game, April 16, 2019 at 5:46 p.m.
BOB A...I look at the following youth player criteria: (1) technical skills; (2) comfort on the ball; (3) decision-making process; (4) ability to avoid pressure...and everything else is important to become a star. If the four catedories are mediocre in a player so he/she is. If scouts can't identify these categories, they aren't scouts. And your baseball comment has no merit as to my original comment. Too many scouts look first at size and speed which are meaningless without a combination of the vital qualities. Wallace Wade, April 17, 2019 at 10:37 a.m.
Bob Ashpole replied, April 17, 2019 at 12:45 p.m.
14 out of 23 players on the 2014 team played ODP. frank schoon replied, April 17, 2019 at 4:15 p.m.
s fatschel, April 19, 2019 at 7:51 p.m. Boy this coach completely missed the boat on the negatives of pay to play....i.e. how the coach is judged. Has he considered the amount of money lost from college tuition over 10 years of club fees and travel?